Click on the payment or deposit in the Payments section. 3. 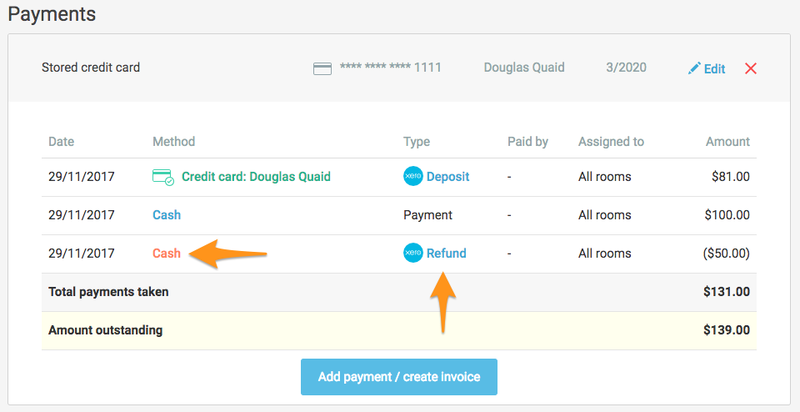 Include a reason for your refund and press Process refund. 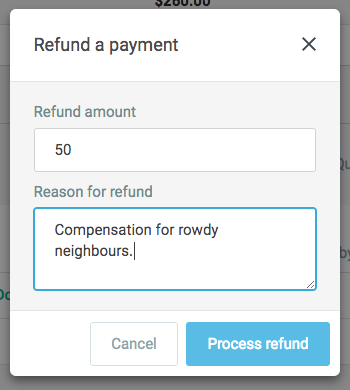 You need to include a reason for the Process refund button to become available. You can do a partial refund of the amount you've taken. 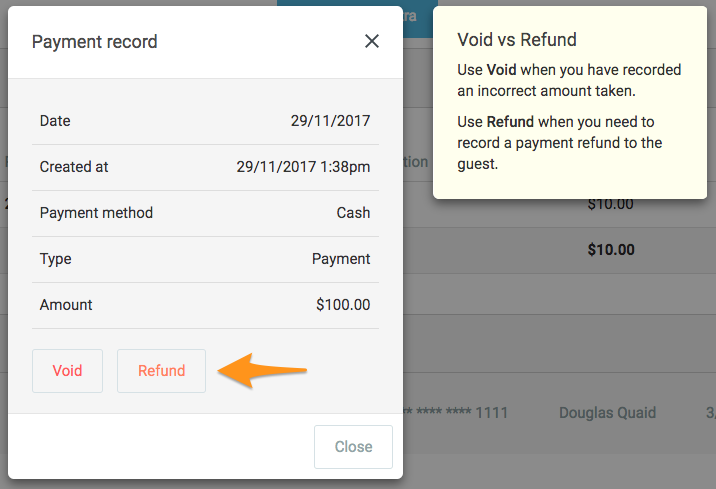 Refunding a credit card that's been charged through the Payment Gateway integration will refund that amount back to the guest's card. Edit the booking, select custom rate and set the rate to $0.00. You'll also need to void any extras on the booking too.